Here at Butlin’s Bognor Regis we are well underway with our festive breaks and the resorts are looking fantastic! For those of you that are joining us over Christmas, here is a sneak peak of the festive magic. Here is a collage of some of my favourite Christmas decorations which are helping our hard working families discover the sparkle of a Butlin’s Christmas. As I only joined the team at Bognor Regis over the summer, I have not yet experienced a Butlin’s Christmas. Throughout the lead up to our Christmas breaks I’ve been told on countless occasions how brilliant the resort looks this time of year but very little could have prepared me for the magical wonderland which is surrounding me now. The Skyline Pavilion has been transformed into a festive master piece. Our gardens have been turned into a snowy paradise and Christmas trees have been mysteriously growing all over the place! So here they are, some of my favourite decorations from my first Christmas at Butlin’s! We look forward to welcoming those of you lucky enough to be joining us over the next few weeks and giving you all an unforgettable, magical Christmas experience! 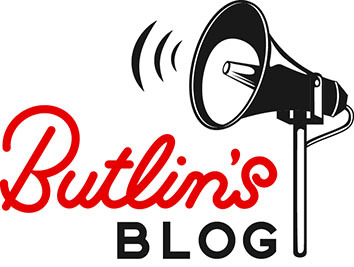 Please send us some pictures of your favourite bits of Christmas, by posting on our Facebook page or tweeting us @Butlins.